Today we have a special guest for you! Miss Ebony Love of Love Bug Studios. She has whipped up a FABULOUS Christmas Project that she is going to share with us to show us how her fun card pack works. If you haven’t heard of or seen her Quiltspirations in action, check out this video for a few basics about what they are and how to use them and then read on for her Christmas Project! Hi I am Ebony Love. I thought it would be fun to give you a sneak-peek into how I use Quiltspirations to add a little whimsy to my projects, or just get me out of a creative rut. It’s especially handy around the holidays when you want to do something handmade, but get stuck thinking about just what to do! I pulled a few cards from the pack of Quiltspirations, just to see what might result. The three cards I chose were, “Lend a Hand”, “You are My Sunshine”, and “Work Small”. Working small can be interpreted in many ways. What I decided to do was work from a charm pack (isn’t Marmalade divine? ), and since I’m an avid die-cutting enthusiast, I grabbed a die to use for the project. The card suggested “wonky stars” – and that’s exactly what I found! The “You are My Sunshine” card suggests incorporating yellow into a project, so a bit of Bella Yellow came to the rescue. I cut some 5″ squares from the Bella Yellow so they would match the charm squares, then I selected about 12 of the fabrics from the charm pack and fused Misty Fuse to the wrong side of each fabric. 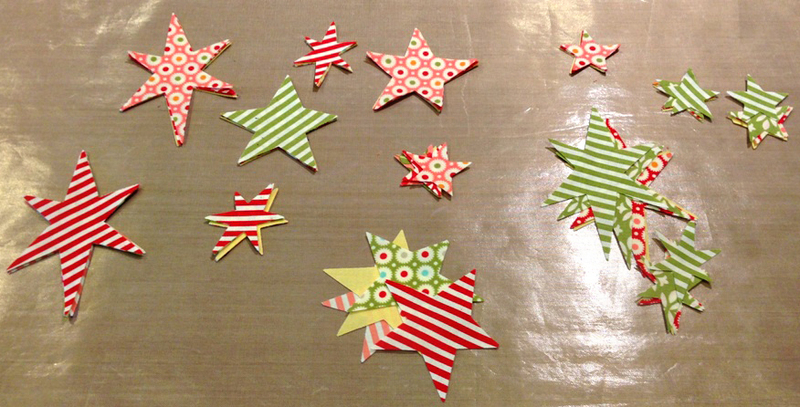 I layered the fabric on the die to cut them and ended up with dozens of really neat stars! Now what to do with these stars? I recently purchased a set of six plain white kitchen towels, and I thought these stars would make great little appliques along one edge of the towel, so I fused a bunch of stars there. Finally, the last card suggested doing a little hand embroidery. I rarely, rarely undertake hand work, but I remembered that I had a stash of embroidery floss in one of my craft bins and a set of embroidery needles. Wouldn’t the stars look great with a little running stitch outline? and decided to hand-stitch that part too. What I find really neat about Quiltspirations is how it reminds me of things that I own but haven’t used in a while, or suggest that I try something different that’s out of my comfort zone. Quiltspirations isn’t about making a specific project, but is used more for a creativity spark. It’s not a traditional card game to be played while sitting around a table, although it is something you can play with friends, or by yourself. I’ve heard from quilt guilds all over the country that use them for mini-workshops and group challenges, but the most interesting story I have heard is how many people read through the entire pack of cards just for the entertainment value! The card pack contains 40 cards, with a set of instructions and creativity prompts in seven categories. There are also a couple of wildcards in the deck to add a little more surprise to your play. It’s a great little stocking stuffer and a unique gift for the quilter in your life. I’d love Santa to leave this in my stocking as it would be a great way to involve my friends and family in my quilt making process without getting the same-old suggestions! This would be a great gift to tuck in my daughter’s stocking to assist with her inspiration. I would love this to shake up my quilting! What a wonderful idea! When the sewing mojo seems to wan, how great would these be! This is such a smart idea, I often find a bit of time for sewing but can’t decide what to do so do nothing and end up blog reading looking at what others have made! you have so many lovely things in this series I want Santa to bring everything! thanks for the chance to win. As a new quilter having a fun way to come up with ideas would be super helpful! Love that it encourages creative thinking and isn’t another kit. these ideas with my granddaughters who are learning to quilt. I`d love a new computer, scissors and these fantastic cards. That would be a great present for our guild. I’d love Santa to leave this in my stocking because it would be great to get out of my comfort zone with. Thanks for giveaway! Everyone needs a little inspiration! I think I’d challenge myself to “pick a card, any card” and then do it! thanks! We can all use a creativity boost, right? What a great way to challenge yourself and your friends. Sometimes I need a challenge! For this reason, I need these in my stocking. I’d love santa to leave this in my stocking as I LOVE a challenge! It is so nice to see the video of Miss Ebony Love! What great little bits of inspiration come from those cards. 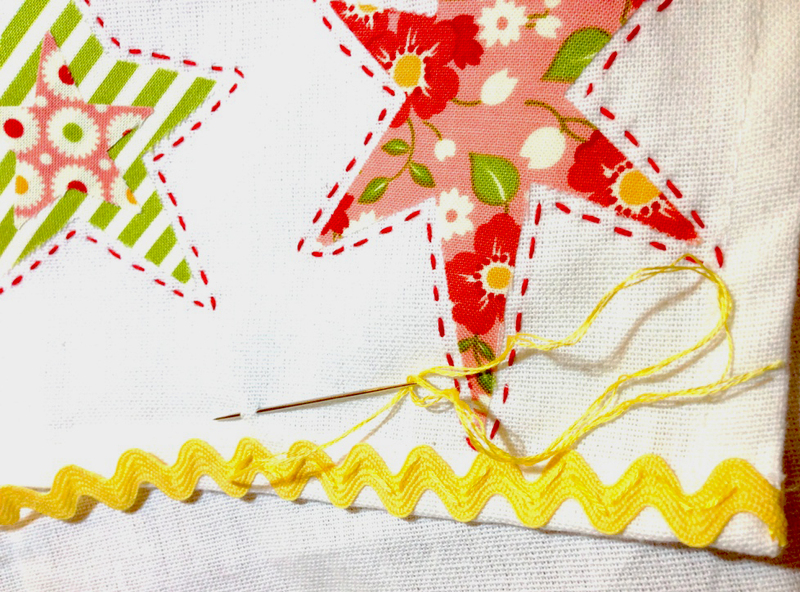 Love the wonky star project! I’d love for Santa to leave this in my stocking because I tend to get overwhelmed with all the choices when it comes time to sit and design. I would love to win this gift! We all need a little inspiration sometime. Thanks for the giveaway. Would love to win this gift to try something new. Santa would be happy that I have plenty of time to utilize this before Christmas! I want Santa to leave this in my stocking because I know that inspiration is a good thing and I can never have too much of it. It would be wonderful to find these cards from Santa to play with when I get together with my quilty sisters. Looks like something I need. I can always use ideas on what to quilt next. I would love Santa to leave this in my stocking because I think it would be a fun way to get my little girl to join me in the quilting world! What a great idea! Would make a cute gift for a friend just starting to get crafty too! I should get this – I work too many hrs to be inventive! Need the boost! thank you! I am a loyal follower. I would love for Santa to leave this in my stocking. I have been busy with many projects and would put this to good use! I’m hoping Santa will leave this for me because it sounds like it would be fun to play. What a great idea. We all need a kick in the pants to move us into creativity once in a while–or more often maybe! I stay so distracted with the minutia of daily life which is complicated at the moment. This would help air my brain and open me to some new ideas. love to win this prize package. My motto is: Imagine and Create. This would be great to use with a quilt group as a fun way to have a challenge. Would love these! I would love to give this as a gift to a special friend who is a quilting fanatic and also very artistic…I can only imagine what she’d come up with! I love to play cards and quilt and these would bring both together and provide a challenge and FUN! Thanks for the chance! I have been quilting for two years now and so far I have made one hand quilted hexagon quilt. This year I want to move on to fun fantastic projects that fill my house with inspiration and joy. I just need a jump start to my creativity..this is IT!! I had no idea there was such a thing I keep reading my magazines..but here it is!! A jump start to my OWN creativity. I am a follower….would love to give this a try! Nice start guys…I went through the website and I found that you made decent point here about Online Card Readings. Keep up the topic that everyone can choose one of the best. Thanks. I am a happy follower and would love to find this in my stocking! I can think of so many gifts to make for so many people with this! 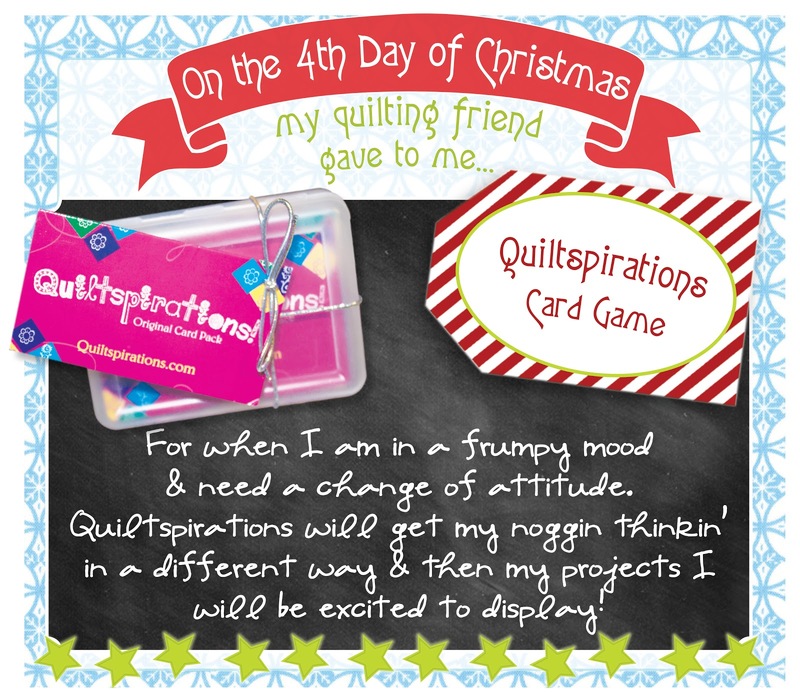 Santa would love to put Quiltspirations Card Game into my stocking for me because this would be a change from watching TV and getting myself motivated again. You always need a good change in your life and this is a good thing. Great idea and Marmalade Charm Pack is a perfect addition. Thank you for the chance to win. These would be so fun to use during the boring, cold days of January and February when all I want to do is sit on the couch and do something crafty. I would love this in my stocking because I adore Marmalade! And those cards just might get me out of my creative slump! Thanks for a great giveaway. Looks like a great way to spark a little inspiration. And I love Marmalade! What a fun card game! Fun to use for inspiration. The kitchen towel is so cute! Santa needs to put one of these in my stocking to make me think and stretch my brain cells. Dear Santa, I would love these in my stocking. 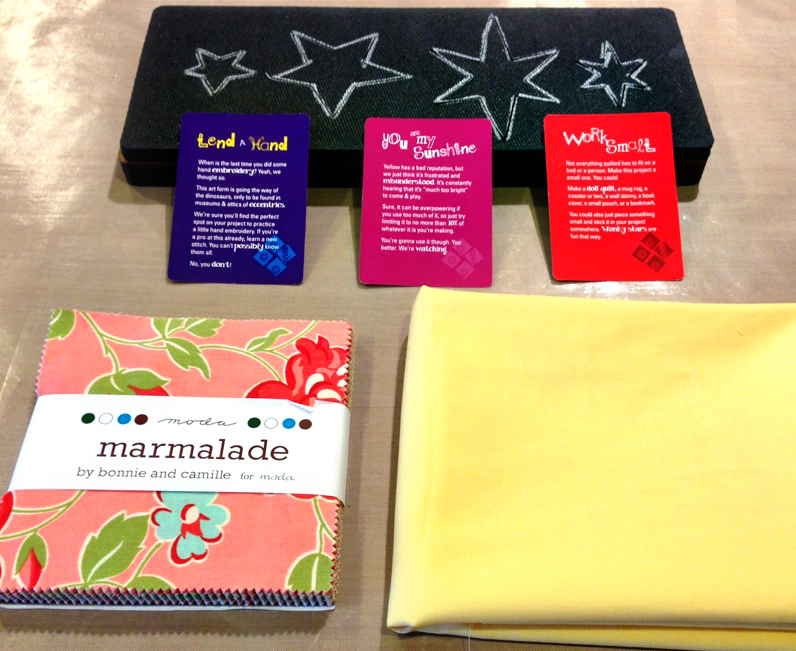 I love Marmalade and my inspiration can always use a shake up and those cards would be the perfect trick to help! Thanks! I already follow your blog. I would use these cards for a challenge for my small quilt group. We are always looking for something fun to do. I want Santa to leave all fabrics Basic Grey! Kissing Booth, Origins, Curio and some hard to find Sultry and Eva. Wishful thinking!! This is such an inspiration idea box, and my little kid can play a part in my sewing funs too. How nice! Wish I win this! I can always use a little more inspiration – and these cards look like a lot of fun! Plus – who wouldn’t want a charm pack of Marmalade!??! LOL. This is such a neat idea! Thanks for the chance to win! What fun! Thanks SEW much for the chance to win! I have just been put in charge of the little quilter’s shop for my quilt guild and would love to give Quiltspirations a try to see if it is something I might want to include in the shop. Thanks for the chance to win! Happy holiday quilting! What a great idea. I can always use a little inspiration. Oh, this would be a great find in my stocking! I spend my a night just staring at my fabric and wishing an idea would come to me. At the end of the night, I always feel like I wasted time. This would be a lot of fun to play with over the holidays! Thanks for the chance to win! I would love Santa to leave these in my stocking,I could sure use some Quilty inspiration. What a fun idea! Its kind of like searching my pantry for dinner ideas–making me be creative with what I’ve already got. I love this! marmalade is a favorite and great idea. I’d love this! These little cards seem like they’d take the stress out of picking what the next project will be. I’m a follower. I would love to have Santa bring me this in my stocking. I am in a bit of a quilting slump and could use some inspiration. What a great gift idea – for myself. Who couldn’t use a little push in the inspiration department occasionally. SANTA KNOWS HOW I LOVE MARMALADE AND THESE CARDS,SO I’M SURE HE WON’T FORGET! I would love for Santa to leave this for me because I am constantly stuck in a creative rut with my quilting. I’d like this because it looks like a great way to add some variety to my quilts! 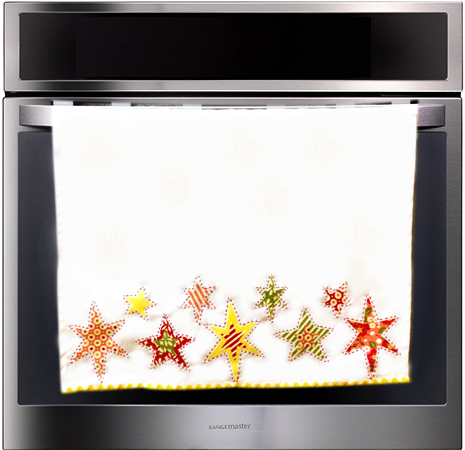 My kitchen needs that towel to bring it into the festive mood of the holidays! I love that Marmalade fabric! This would be great to make a baby quilt, as I am going to be a great aunt soon. I’d love to make this for a quick Christmas present. It is so cute. I would LOVE this in my stocking! It would sure spice things up in my sewing room! this would be fun to find in my stocking! i could use it at quilt retreat or with my girls group at work! I am a new follower and would love to find any of these in my stocking. Who doesnt need a bit of inspriation! Love the kitchen towel,thanks for that bit of inspiration today! Gift card to my favorite fabric store would be wonderful to find in my stocking! This would be a great surprise in my stocking! Thanks. Oh my! This would make wonderful curtains in my granddaughter’s room! I love to make my quilt look amazing with this fun idea. I would love to have this as the one thing you can’t buy at the store — inspiration/quiltaspiration. Thanks! Love the fabric too — never too much fabric. This would keep me occupied while the turkey was in the oven! How fun–these would be great for a quilt guild challenge! I would love this as I’m always looking for inspiration in any place!! I would love these as I am a beginner and need all the help I can get. I am going to add this to my Christmas wish list if I do not win. Wow, Santa, I could really use this! I’ve been stuck in neutral and need something inspirational to jump start my creativity again! Oh Santa, I am always looking for inspiration! This would be perfect in my stocking this year! It would simply be a big surprise and very nice, if Santa would leave me todays wonderful gifts in my very empty stocking. That looks like a very fun way to start a swap with my local quilting friends! Would love this in my stocking as new ways of finding inspiration is always wonderful and fun! Santa I would luv to have this to use at our “Happy Stitchers” sew days. I would love to win this to share with my friendship quilt group and do some challenges. We are always looking for fun projects. Thanks for the chance to win. What a great way to introduce new techniques and do something different every day! Thank you for the opportunity to win!! I’d love this in my stocking because sometimes I run out of inspiration! I would love this – I’m not that creative, I need inspiration!! I want to win these so I can do something for ME! I always make things for my grands and others, and I need some new things around my house. The chance to have a box of inspiration, it’s just like a wonderful Aladdin’s Cave where the magic lamp gives you all you wish for! Thanks for the chance to win. I sure hope Santa leaves these in my stocking because what better inspiration could a girl ask for? It’s still up to you what you make but the challenge is there! Maybe a set of these would also inspire my daughters in law and granddaughters to sew SOMETHING good!! I think Quiltspirations is a great idea and think it would challenge me as a quilter, and love the charm pack! I’m already a happy follower! What a fun way to inspire new ideas which is why I hope Santa leaves a set of these cards in my stocking. Fabric never enough fabric, cards with inspirations on sewing what a great idea. Very clever, creative people in the world, there to make us more than we are!….Thabk you. who doesn’t need a little extra inspiration sometimes. And fun too. What a fun idea, and I love the charm pack. Fun! And I do love marmalade. I am a big fan of Marmalade and love the idea of the quiltspirations deck. Sounds fun! This would help me come up with new ideas for gifts! Thanks! This charm pack looks perfect for all the wonderful ideas that I’ll have once I win the card pack. what a fun idea! would love to find this in my stocking! it’s already inspired me to make a slew of stars and an applique quilt for my sweet ggbaby! 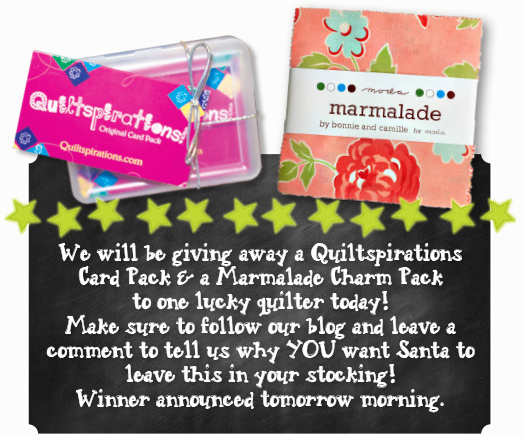 I would love for Santa to leave the Quiltspirations Card Pack and a Marmalade Charm Pack for me. I find that my mind sometimes gets stuck in a rut more & more often as I get older and I think that this would really help to work my imagination on colors and design. What can I say about Marmalade, all of the collection is just luscious and I would love to win your giveaway. I would love for these to end up in my stocking! I’ve wanted to pick up a Marmalade charm pack for a while now and haven’t gotten the chance. And who couldn’t use a little Quiltspiration? I would love to find these prizes in my stocking! What a great way to get inspiration for new projects!! Thanks for the chance to win. Love what you did with the stars! Quiltspirations! How very COOL! What a great way to get creativity flowing! I can already imagine some fun and interesting challenges for my quilter friends and me! 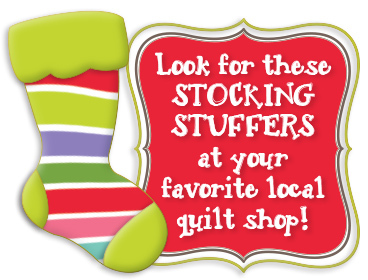 I would love to see Quiltspirations in my stocking! So freaking CUTE!!! I’d love to get the cards in my stocking!! When my 3 sisters & I get together we always end up playing card games (we live in 4 different states & get together at least once a year). We also quilt & do round robins & block exchanges. So this neat deck of cards would be perfect for our next get together. Thanks for the chance to win. Wow! Love this inspiration idea. Just like brainstorming. I would use it all the time. I just want it. Dear Santa: I always can use some quiltspirations. This would be perfect for my quilting friends and I to ‘spice’ up our creative plates… especially when we have those moments where we need to create but are at a loss for ideas!! Thanks! What a neat idea for those days when you feel like your mojo is gone to get re-inspired. 🙂 Thanks for the chance! What better gift to give to a quilter than some new inspiration. The PERFECT gift for my Secret Friend and other quilting buddies! What a cool idea! I would love to have some inspiration in my stocking for Christmas. thanks. What a fabulous idea those inspiration cards are! Sometimes our stashes get to the point we forget what we have and these would be a great reminder to go back and use some of those fat quarters or pre-cuts we bought for those “one of these days” projects. Please Santa, put this bit of inspiration in my stocking so I can always be reminded of why I love quilting so much. I think I need it to take me out of my comfort zone. I’m good at executing a pattern, but often feel that I’m lacking in creative imagination. These cards might spark some much needed creativity! Thanks! A great gift to win. Thanks for the chance. How perfect life would be with a pack of quilty cards – I love the idea of ‘pick a card’ and GO WITH IT! I would love for Santa to leave me the Quiltspirations Card Pack & a Marmalade Charm Pack because I’ve set a goal, beginning in January I am going to learn to machine quilt. Love Moda Blog for quiltspirations! Happy Holidays. I would love it if Santa left me this gift so that I can make kitchen towels with my daughter. She’s almost two and loves being in the kitchen and my sewing room with me! These would be fun to use on new projects! I love the towels! We can all use a new inspiration to change up our quilting. What a great idea. Pick a card. Any card. Then one is launched on a completely new and random path opening new possibilities heretofore unthought of. I like the spontaneity. I’m a little low on inspiration right now…..you can put it in my stocking….grin. I would love to have this in my stocking. I am always looking for inspiration to either start a new project or finish an old one. Ok…..maybe I was not as good as I should have been this year….butnthis would be an AWESOME way to get some new creativity into my life!! It would be great to take this to my quilt group’s retreat as we could all take a card and make something for show and tell. It would be fun to see what everyone comes up with. Would love this to put in my stocking. Thanks. I really need something that I can carry around with me. A little hand work would be great. Thanks for the giveaway. What a great idea. These cards would definitely help when I ha e a creative block. Santa can you put this in my stocking? Nothing would leave me more inspired than Santa dropping this in my stocking! Thank you for the chance to win!! I learned how to machine sew/quilt last Christmas season and have perfected the squares, but have recently been thinking that I want to advance to some hand stitching techniques but didn’t know where to start. This would be a great help and inspiration. This would be a fun addition to the group I sew with, and I love that fabric line! Would love to have these in my stocking and maybe get the inspiration to actually make a stocking. Hey that looks like a lot of Fun! I need more fun in my life right now with lots of work pressure. I think they could also be used at work as well where my workmates definitely need a boost of inspiration! Because I have the perfect quilt pattern to use this little guy with and the perfect somebody to give the quilt to. The marmalade charm pack would be a great addition to my fabrics. I need some inspiration! Pick a card, any card! I would love to get this in my quilted stocking. A Marmalade Charm Pack! I’d love to use it to make a doll quilt for my niece. The inspiration cards sound awesome. I’d love to win. Thanks for the chance!